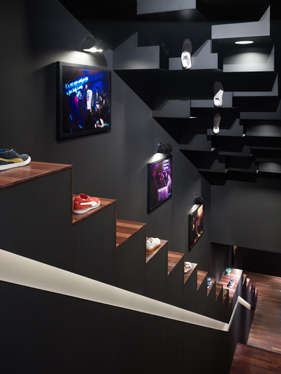 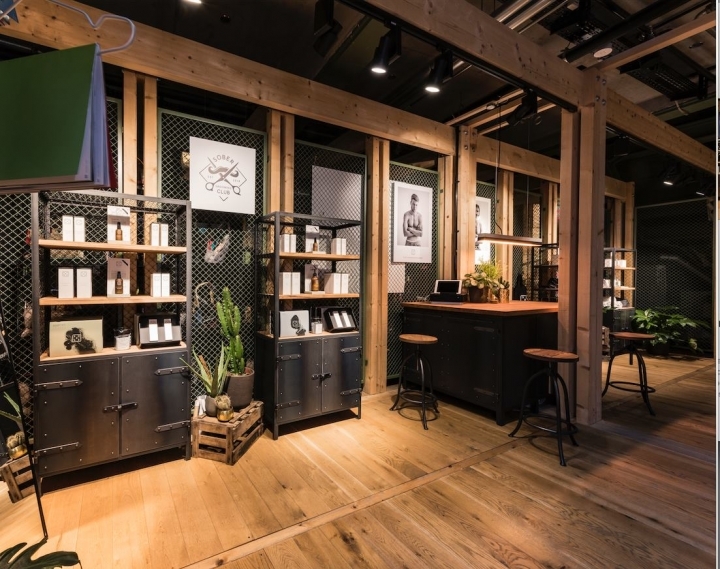 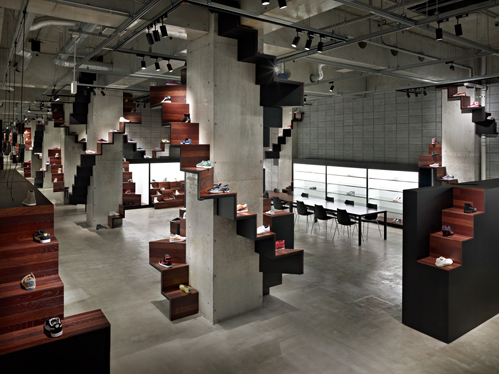 The interior design for the new Puma House Tokyo, located in the city's Aoyama design district. 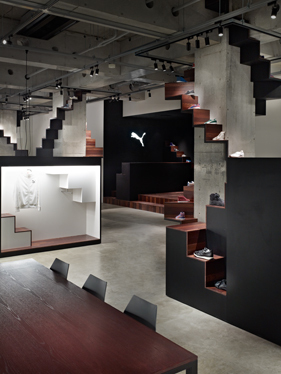 Puma House Tokyo combines the brand's press room and event space into one space for the first time. 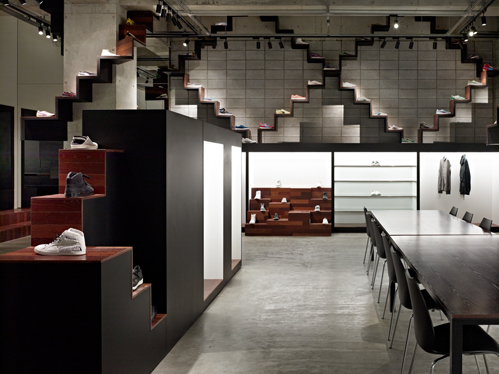 Puma House Tokyo is a multipurpose space that can be used for exhibitions, events, fittings, product launches and other media events. 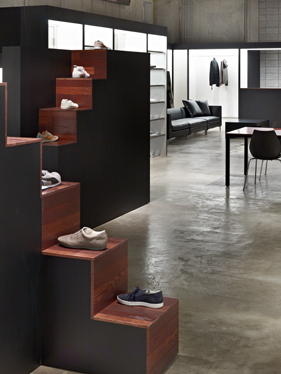 it is also available for rentals. 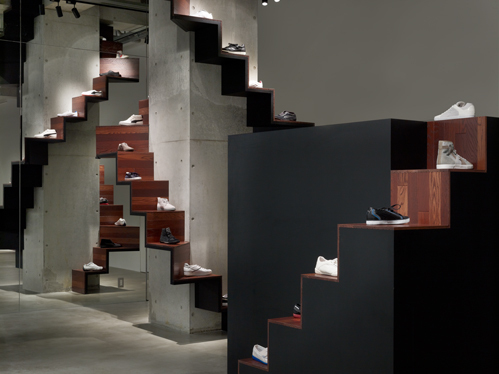 For our design, we placed 'staircases' that climb around the existing features around the space like vines. 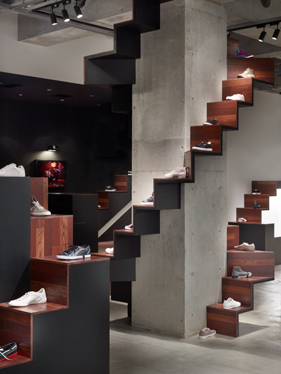 But these staircases are not for people to climb. 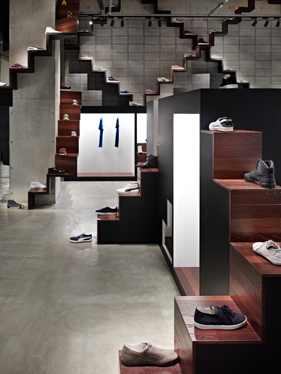 Rather, they function as display stands for PUMA's sneakers and as a compositional element that gives the space a special character. 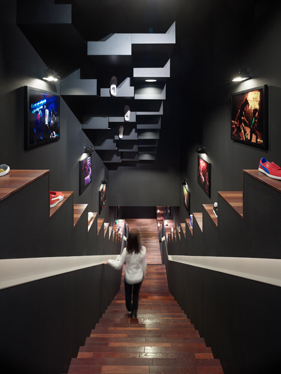 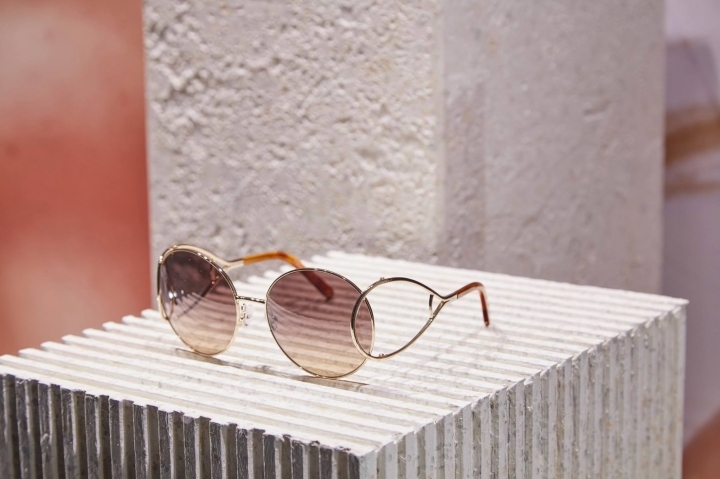 The resulting effect is a strong reminder that we exercise our bodies daily going up and down stairs, and has a visual connection with stadium stairs and podiums too, to bring in PUMA's important relationship with sports. 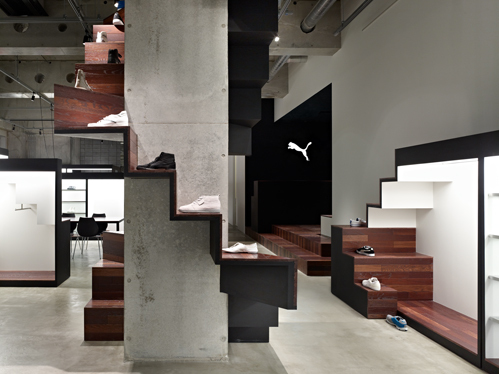 The stairs bring a sense of movement to the interior, enabling a three-dimensional product display that fully uses its space and allows visitors to experience PUMA's worldview.